A leading figure in the lettings sector is warning that investors and landlords can be left out of pocket by hundreds of pounds and with tenancy problems if they fall for so-called ‘guaranteed rent’ schemes. Under a guaranteed rent arrangement, the landlord is required to sign over the property to a company or letting agent for a specified period of time in return for a guaranteed monthly income. The agent then sublets the property and manages the tenancy. Rent guarantee firms make their money on the difference between the rent they pay the landlord and the rent they receive from the subtenant. Most schemes promise to cover any void periods and maintenance costs. 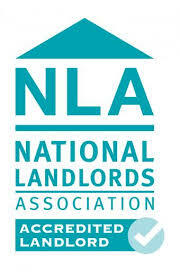 “There are many firms out there offering guarantee rent schemes, many of them very small companies or sole traders. The risk to landlords and investors lies in the financial security of the rent guarantee provider. If they get into financial difficulty or go bankrupt, the landlord many not be able to recoup any monies paid to the scheme” says Liyanage. The landlord or agent could also be saddled with a tenant that is not paying the rent, despite having paid an ‘insurance’ to protect them from this. “What the landlord does not usually realise is that their property could be rented to asylum seekers or large families claiming benefits. Subletting to housing benefit tenants for example may be in breach of the buy-to-let mortgage conditions and could result in mortgage companies insisting that loans are repaid” says Liyanage. One of the few ways to protect themselves is by having a commercial lease between the landlord and the company, plus an assured short-hold tenancy agreement for tenants. Some unprofessional rent guarantee schemes get landlords and investors to sign ASTs and then issue licences to tenants. This fails to provide any protection to the landlord or investor. This article first appeared on Letting Agent Today on 3rd November 2014.